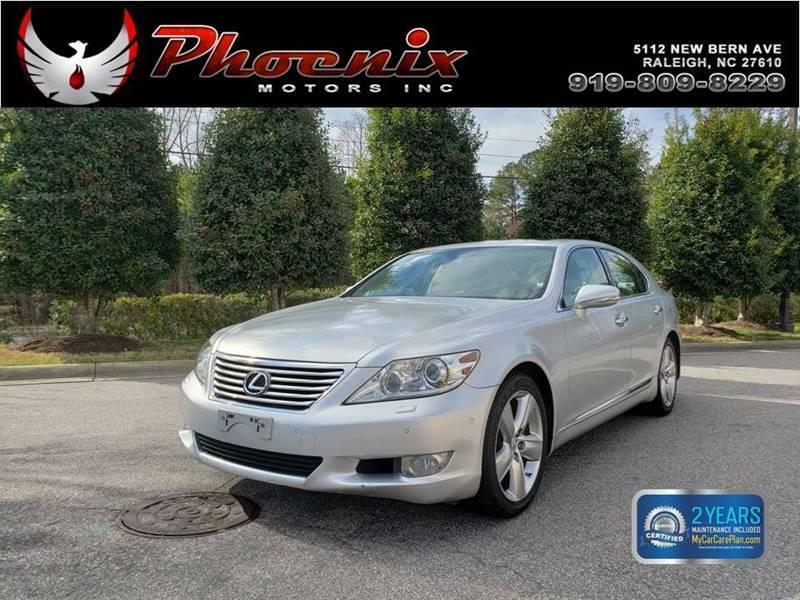 I would like to learn more about this 2011 Lexus LS 460 Base 4dr Sedan. Please contact me as soon as possible! ***ONE OWNER***When it comes to premium luxury sedans, a car needs to excel in certain categories. Such a flagship needs to deliver performance, comfort, refinement, craftsmanship and a long list of high-tech features. On its own, the 2011 Lexus LS 460 easily satisfies these requirements, especially in the quality of the ownership experience it offers. The LS 460 comes standard with 18-inch wheels, power-folding and heated exterior mirrors, foglamps, adaptive and automatic xenon headlamps, automatic wipers, a sunroof, cruise control, keyless ignition/entry, dual-zone automatic climate control, a power tilt-and-telescoping multifunction steering wheel, a 16-way power driver seat and 12-way power passenger seat (includes lumbar adjustments, multilevel heating and memory functions), leather upholstery, wood trim, auto-dimming mirrors, a rearview camera, Safety Connect emergency telematics, Bluetooth phone and streaming audio connectivity and a 10-speaker stereo with a six-CD changer, satellite radio and an iPod interface. Standard safety features on the 2011 Lexus LS 460 include antilock disc brakes, stability control, front-seat side airbags, side curtain airbags, front-seat knee airbags, active front head restraints and emergency telematics.